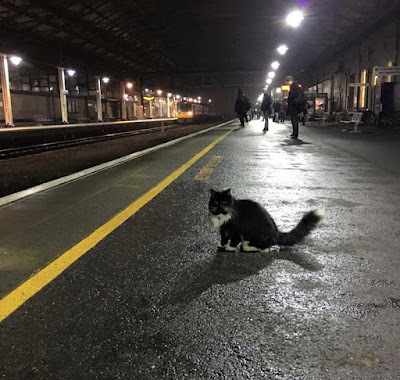 Feilix the cat has been working hard capturing mice at Huddersfield railway station in West Yorkshire for the past five years. Now she has received a promotion and a posh uniform. 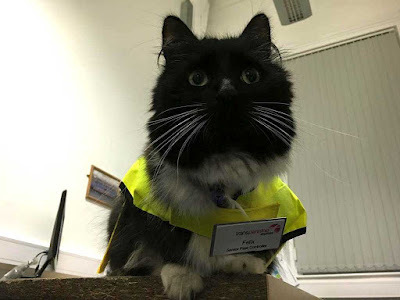 Felix has been named the railway station’s Senior Pest Controller. 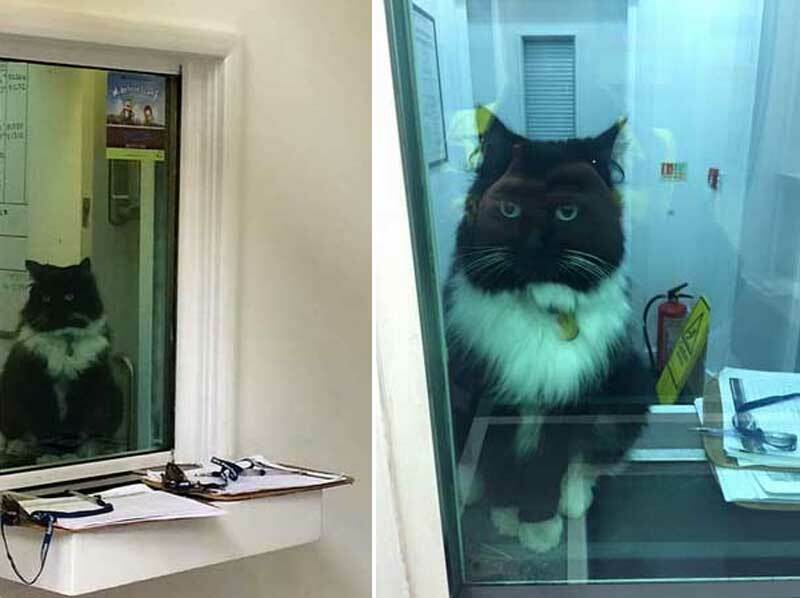 The feline was brought in back in 2011 as just a nine-week-old kitten to keep the platforms free of mice and other vermin. She even has her own cat flap installed in the new ticket barriers and has a Facebook page. The new role means Felix has her own high-vis jacket and name tag, given to her on behalf of TransPennine Express. They need to change her name to Felicia.